James I. Spainhower (Democrat), the 39th State Treasurer, was born Aug. 3, 1928, in Stanberry, Mo. Mr. Spainhower received his elementary education in the Stanberry public schools and graduated from Maryville public high school in 1946. He received a bachelor's degree in history from Phillips University at Enid, Okla., in 1950, a bachelor's degree in divinity from Lexington Theological Seminary at Lexington, Ky., in 1953 and a master's degree in political science in 1967 and a doctor of philosophy in political science in 1971 from the University of Missouri-Columbia. He was also an ordained minister of the Christian Church. 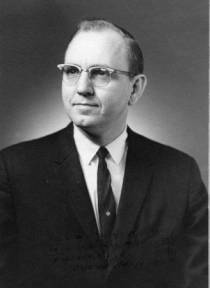 Mr. Spainhower was elected to four terms as a member of the Missouri House of Representative from Saline County, serving eight years from 1963-1970. He was a member of the House Appropriations Committee for six years and chairman of the House Education Committee for four years.